The Democrat-backed bill returns decisions about school calendars to the local school boards. Debate lasted more than 90 minutes on Thursday and got heated, as Republicans argued in favor of a later school start. Sen. Paul Pinsky, a Prince George’s County Democrat who chairs the Education, Health and Environmental Affairs Committee, said local school officials have trouble making sure students are in school for the required 180 days while also obeying Hogan’s executive order. Because Labor Day falls on a different date each year, scheduling is easier for schools in some years than it is in others. In 2021, for example, Labor Day falls on Sept. 6. That means students are in school for fewer days in September of that year than they will be this year, when Labor Day is Sept. 2. “We received a report from a local board member, Anne Arundel County, I think it was, that said in 2021, they’re going to have to remove their spring break,” Pinsky said. Over the course of the debate, Democrats offered a litany of arguments against a later start date, but they always came back to the same main point. “This does not prohibit any of the 24 boards of education from choosing to start school after Labor Day,” Pinsky said. Republicans argued that there needs to be statewide consistency on school calendars. Minority Whip Stephen Hershey, who represents the Upper Eastern Shore, said the bill gives local boards of education too much leeway. 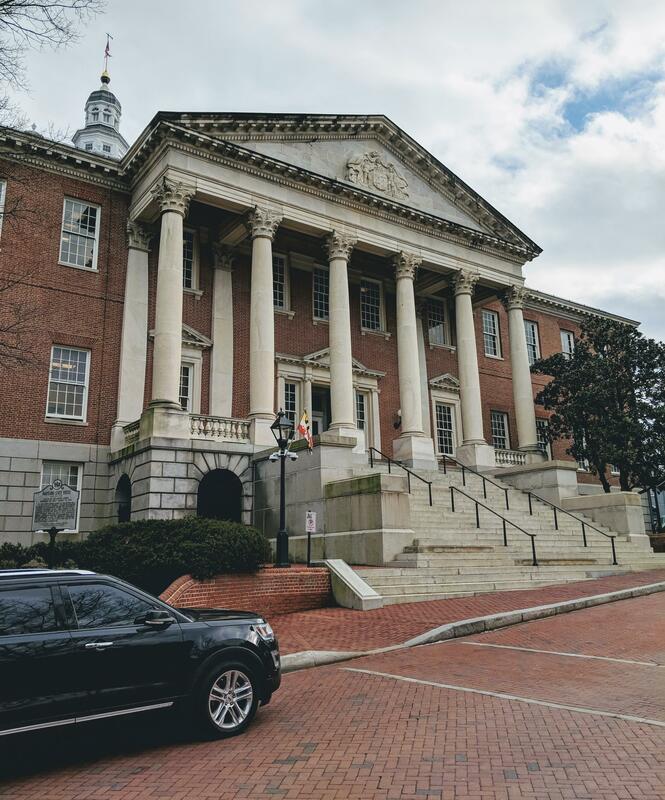 Sen. Robert Cassilly, a Republican from Harford County, said the legislature should consider the needs of the tourism industry, an argument Hogan has also made. “As important as students’ educations are, there are things that weigh quite — balance quite nicely with that,” he said. Republicans offered amendments that would have made the bill look more like Hogan’s executive order. All of them failed. Also on Thursday, Hogan announced at a press conference that he will introduce his own legislation protecting the new school calendar in state code. “Under this legislation, any local school system that attempts to evade the law and start school before Labor Day would be required to put that decision on the ballot for the voters of that jurisdiction to decide for themselves,” he said. He warned that if the bill currently in the Senate passes, there will be a referendum to overturn it. “It will be placed on the ballot, and there is a 100-percent chance that the voters will overturn any action by the legislature with a more than 70-percent vote,” he pledged. Hogan repeatedly referred to the change enacted by his executive order as “the will of the people,” and said that 70 percent of Maryland residents favor a later school start. He may be referencing a 2016 Goucher Poll that found that, when asked whether they want to start schools after Labor Day, 68 percent of poll respondents said yes. But on the Senate floor, Pinsky said poll questions don’t convey the whole picture. “You know, we can tell people, would you like to start school after Labor Day and end on June 15, and I would say, most people say, sure. But when you say, would you like to start after Labor Day and end on June 15 if it means removing the spring break or removing a religious observance,” he said, the answer might be different. The Senate plans to continue debate on the bill Friday and take up the final vote next week.